This cute Alien is from SVG Cutting Files. His name is Mesmerio! Isn't he adorable?! I love the alien!! He is fantastic...and so is your card!!!! Oh, wow!!! Awesome card!! 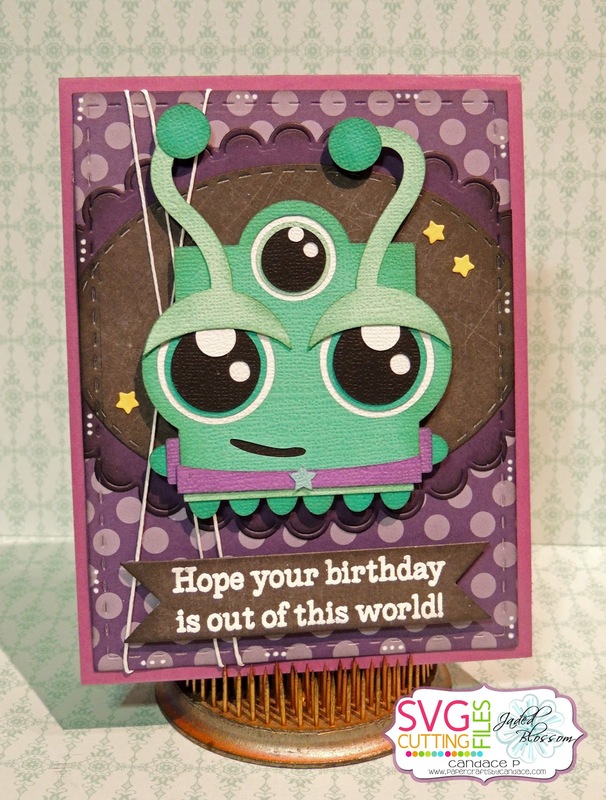 Love the purple background paper and that alien is what too cute! Yes, he is adorable!!! I live this card!! love, love, love. Mesmerio is the cutest little alien. He is adorable! You brought out his best side. lol. Fantastic card! This is seriously great!! What an adorable alien... They can be adorable right!? He is totally adorable! What a fun card! Absolutely LOVE this little alien! 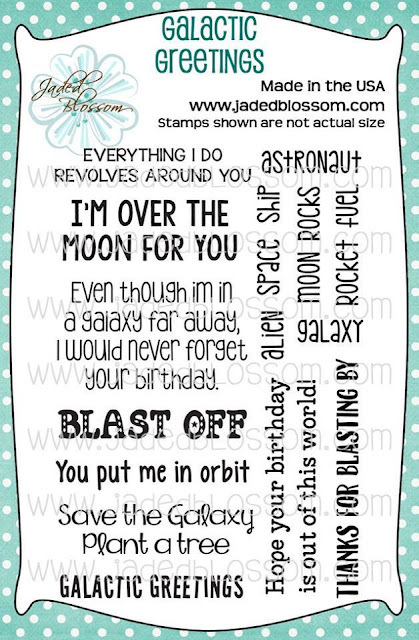 What a cute little alien - great card! so cute love the color combo of course !